Barnhouse Brewery of Leesburg, VA contacted Elyse Myers Design to design beer cans that they would be selling in their brewery. Taking a cue from their brewery design, which is completely clad in rustic wood paneling, the can was designed to look like it is wrapped in wood. 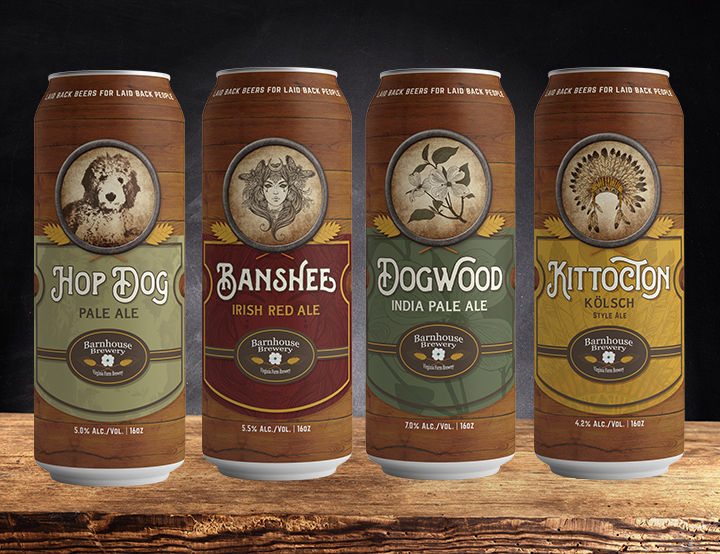 The crests of each can represent the name if each individual beer and the typpgraphy reflects the rustic nature of the brewery and location in rural Virginia.